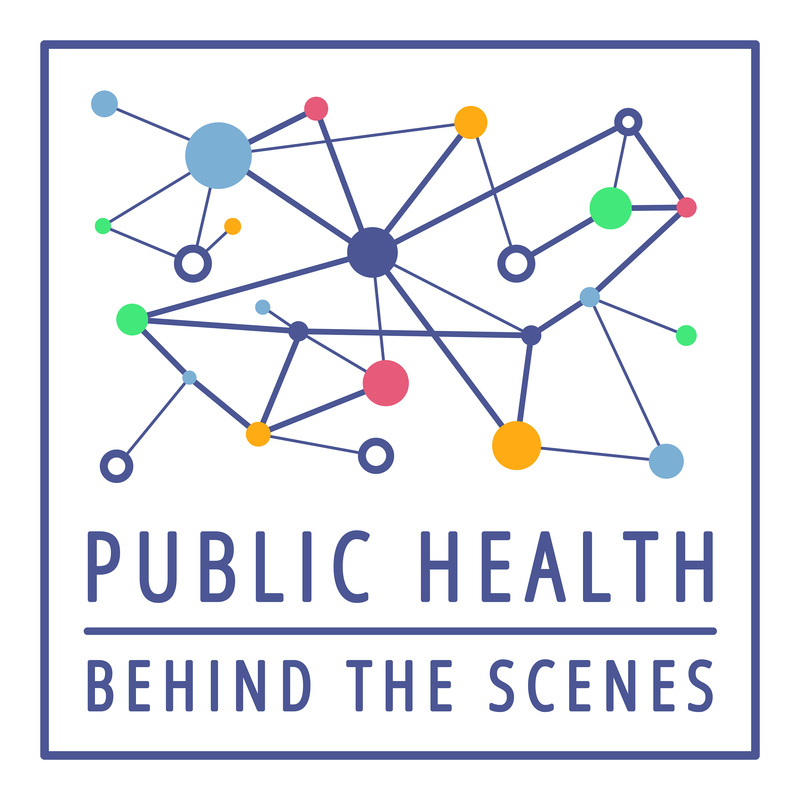 In this episode, we go behind the scenes of the American Public Health Association’s Annual Meeting and Exposition in Chicago. Naya: Hey there, we’re back for episode 2 of Public Health Behind the Scenes. We had hoped to have an episode ready to go now covering some of the work that is going on in regards to the refugee crisis, but for a variety of reasons we’re not quite ready to tell that story just yet. We are working on it though. So please stay tuned. Becky: I think the biggest public health issue that needs to be addressed is education about healthcare and knowing what access people have and how to get that access so they can get the care that they need. Naya: Next we talked to Katie Wouk, a current doctoral student in Maternal and Child Health and lover of all things breastfeeding. Katie: My personal interest is perinatal mood disorders and breastfeeding. And so I would really like to see better screening for perinatal mood disorders, so during pregnancy doing a better job screening all women because it turns out that depression and anxiety are the most prevalent complications of childbirth. Naya: Glen Mays is a professor of health policy and management at the University of Kentucky’s School of Public Health and is another alum. Glen: I’ll put it in the big bucket of preventable chronic disease with current program and technology. Jennifer: The biggest issue that I see are the social determinants of health because there are structural issues that affect a lot of people and they affect a lot of health outcomes. Naya: Denise Marie Hynes is a health policy alum. Denise: Right now I think the one I would like to see addressed is making sure there is access for all to healthcare. Becky: I think it’s a grassroots problem, so I think you need to start from schools where you can access the most people, community health centers, churches where people kind of get cultural and community advice. Katie: I think we need to start by getting all kinds of providers that work with moms in the prenatal setting, so not only obstetricians, but midwives, family care providers, nurses, anyone who interacts with mom when she’s pregnant and make sure they know how to screen for a mood disorder. And then I think we need to do some more broad studies on kind of what works to help moms at that period to prevent the mood disorder. So what kinds of interventions, maybe non-pharmacological interventions (many pregnant women don’t want to take medications), so maybe things that relieve stress, different kinds of counseling, I would like to see more research on outcomes associated with those types of interventions. Glen: I think that at the heart of it is that we need to build in strong governance and decision making systems at the local level so that communities can make these decisions for themselves about how to use their resources in ways that can improve health. I think these preventable chronic diseases are the big ones that we can make the most and largest gains in health status and equity across the country. Jennifer: It really needs to come from a multifactorial approach, in terms of changing norms to changing policies. Not just health policies, but also things relating to employment, and housing, and schooling in this country and around the world in order to create an environment where people can more equitably make health decisions and situate their public health. Denise: I think there are a lot of ways that we can still look at some of the policy approaches to expand access. We might need to rethink whether all health insurance should be employer-based; I think there needs to be some reconsideration for universal healthcare. Naya: So our alums are doing great things, right? Jessica: Right, and then there are our students who are doing work on complex issues as well, during their practica. So, for many of our masters’ level students, a big part of their training and education is the field experience, or practicum, where they take what they learn in the classroom and apply it in a real-world setting. This year, we celebrated the important collaborations between our students, faculty, staff and community partners in our first ever school wide practicum day. 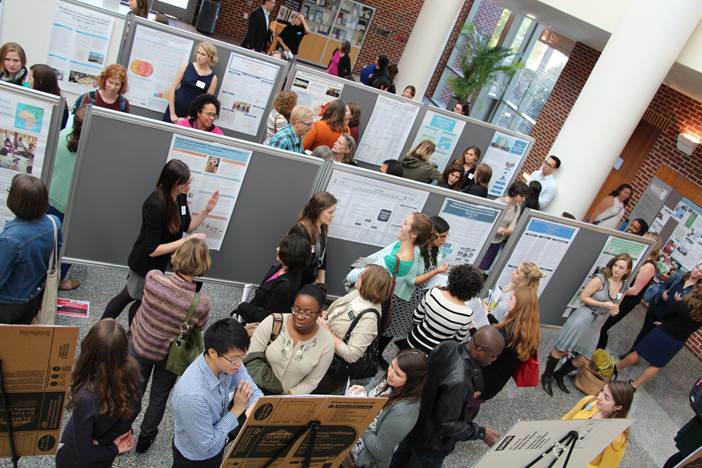 Students presented their work in a conference-like setting, sharing lessons learned in oral presentations, poster sessions and final product exhibits. Over 200 people attended and during the poster session I was able to talk to a few students about their work and get their opinion on the most complex issue they faced during their practicum experience and their recommendations on how these issues could be addressed. 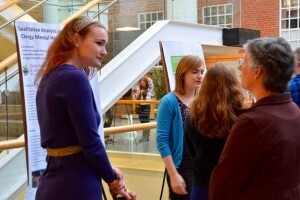 Poster session at practicum day. The first person I ran into Jean Lambert Chalachala, a master’s candidate and 2015 Rotary Peace Fellow, who was presenting on his summer experience with IntraHealth International. Naya: A little background, IntraHealth is an esteemed North Carolina-based non-profit organization serving the public health needs of developing countries for over 35 years. 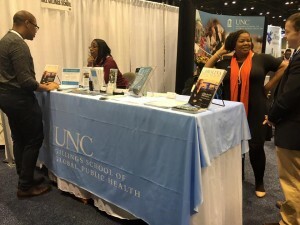 One of the many impressive connections in his work is that while he was able to physically complete his practicum working from Chapel Hill, Chalachala was actually able to join a project focused on developing a sustainable health workforce in the Democratic Republic of Congo (DRC), which is his native country. Jean:So, during my practicum I worked with IntraHealth international here in Chapel Hill. Focused on a project in DRC helping the health ministry helping manage the HR for health. They have a big problem of managing the payroll lists of health workers. That’s why IntraHealth is helping the health ministry to create a database of all workers. Jessica: He started telling me more about the current situation in the DRC. Imagine a country, half the size of the U.S. with more than 300 thousand health workers (think doctors, nurses, staff, pharmacists, anyone who provides health care), but the country doesn’t have the money to pay all these people, let alone the infrastructure to actually get payment into the hands of the workers (in other words, their HR payroll system basically doesn’t exist as they don’t know exactly who is working, where they’re working, and there is not a way to pay them). So, what has happened is that health providers and workers have created their own billing system and payment structure, meaning some have essentially cut the government out of the process altogether. Chalachala explained more about the complexity of the issue from the government’s side, telling me the issue is further complicated by policy and economic constraints (the DRC has a recommended retiring age, but those who are eligible as you can imagine, don’t retire … they’re not exactly going to receive any retirement benefits and they’ve managed a way to get paid providing healthcare). So I asked him what he thinks could be done. Jean: The first priority is to know the exact number of people who are there, and secondly to know the number of people who should be retired and to get them a retirement. Then to recycle the new workers. That would be my priority before going to other problems. Jessica: I thanked Chalachala for his time and left thinking about how important basic infrastructure is in public health (a topic we’ll touch on again soon). And as I scanned the posters to my right, my eyes caught those of Erin Magee, an MPH-MSW dual-degree student (she’ll not only have a masters degree in public health, but also have a degree in social work when she completes her studies). I asked Erin to tell me more about her poster. Erin: This summer I was working on gender based violence and Intimate Partner Violence (IPV). And honestly, I would say a large area, or large priority would be focusing on prevention as opposed to response. Historically we’ve put a lot more resources and training into response after a sexual assault and not as many into prevention. And then one of the things I think we could do with the prevention piece is really bring men on board. A lot of women are leading the charge, which is awesome. Good on them. I think we need to reach out to the men, because I think that’s going to really help with preventing perpetration. Naya: IPV, if you caught that is intimate partner violence. The Centers for Disease Control and Prevention (CDC) describe IPV as physical, sexual or psychological harm by a current or former partner or spouse. This type of violence does not actually require sexual intimacy. It could include physical violence, sexual violence, stalking or psychological aggression. To highlight the impact of this issue further, the CDC cites that the most recent data that we have on IPV from the 2011 National Intimate Partner and Sexual Violence Survey indicates that over 10 million people in the U.S. experience physical violence each year by a current or former intimate partner, and 1 in 5 women and nearly 1 in 7 men have experienced severe physical violence by an intimate partner at some point in their lifetime. Jessica: In addition to the immediate impact, the CDC report goes on to note the long-term impacts of violence include an increased likelihood of negative mental and physical health outcomes, an outcome recently in the stories captured in The Hunting Ground, a documentary film inspired by Carolina’s own Andrea Pino and Annie Clark, both survivors of sexual assault and who are working and networking with others across the country to inspire change. New laws have already been passed in New York and California, including changes to campus policies. So I checked my phone to see how much time I had left and I had already spent 30 minutes talking to two students on their posters, and there were over 40 others in the room. So I made my way to the back tables where students presenting artifacts, or examples from their practica were sitting. 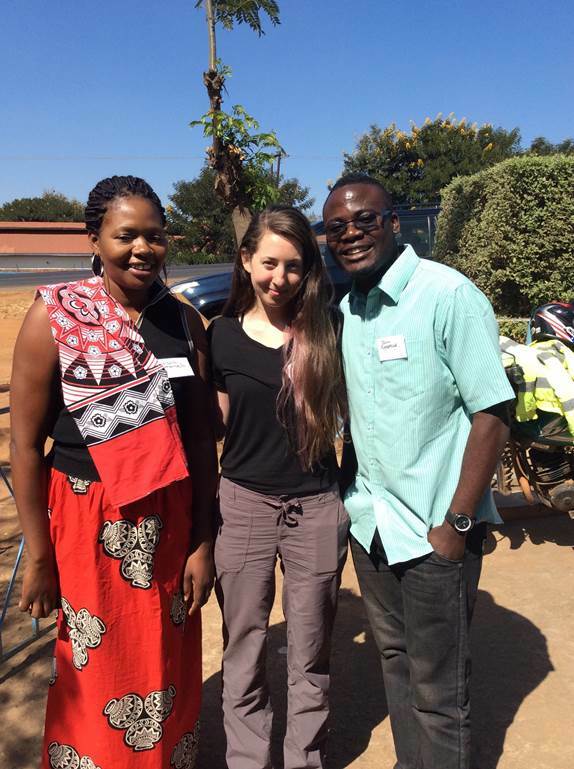 Hilary Murphy worked on a project in Malawi with faculty member Valerie Flax to encourage breastfeeding as a part of the Prevention of Mother to Child Transmission (PMTCT) program which is developed to ensure that no child is born with HIV. Hilary and I chatted with me more about her work and I asked her to tell me more about the issues she was working on. Hilary: So, I think that the promotion of breastfeeding practices is really important in terms of the health behavior component of PMTCT. Which is like HIV care and treatment. So right now in Malawi when women are found to be pregnant, if they have HIV they get immediately enrolled in ARTs. That’s antiretroviral therapy and that’s really great. But the second component to that is that we need to make sure that their children don’t get HIV and don’t get these diarrheal diseases that they can get if their mother isn’t breastfeeding. So it was really important with this program to make sure people are really aware of the recommendations around breastfeeding and that they also have the support and the skills to actually engage in those behaviors. Jessica: So we have a toddler and my personal breastfeeding experience was so challenging and I had every resource available. I asked her to explain more about how they worked to encourage this behavior. Hilary: So, with bottle-feeding you essentially have to access to sterilization stuff. And so that means refrigeration that means be being able to heat things up and have a clean source of water. And so a lot in a lot of these villages where women live there’s no source of clean water and electricity and it’s not feasible to be giving clean water to babies formula from a bottle that you know is not going to give them a diarrheal disease. And so breastmilk is sterile when it comes out of the body and so it’s kind of the ultimate candidate for making sure your baby staying healthy. Hilary Murphy in the field. Jessica: But what about actually continuing to breastfeed? I was so curious to hear what issues women in Malawi were facing that influenced their decisions to bottle feed. Hilary: A lot of women mentioned time. There was a concern that if they had to work all day or be away from the home, then what are you going to do to get breast milk back to your baby? There’s definitely the component of a lot of women talking about how they were sick and they were too weak to breastfeed and so you know there was that fear that if they kept breastfeeding they wouldn’t be able to take care of their baby because they were going to get more sick. So there’s that need to increase knowledge around the fact that breast milk is literally the best thing you could give to a baby, especially up to six months. So that I think was pretty key. Jessica: I asked Murphy then what she thought worked well with the intervention. Hilary: I think that this intervention was really great because what it did was use a structure that already existed and so what we were doing was training facilitators who would then go back to their villages and train these groups that are called village savings and loans associations. So what these groups are is groups of women who get together and they determine (they have a savings usually) and they determine how that money is used in the community. And so because that group was already set up and in place, it was great, because then we didn’t have to find the women and figure out how to get them together. They were already there and they just needed someone to come in and talk about these recommendations more. Aly: The Center for Health Policy and Inequalities Research, we call it CHIPR. Chipper does mostly public health research with the intention of making policy recommendations. I did a project looking at clergy mental health in North Carolina working with UNC pastors. Pastors had already gone through a qualitative interview and prior to that interview they completed a daily diary each day for a week. I went through the 52 diaries and looked for differences using qualitative analysis between pastors who had flourishing mental health and pastors who were experiencing burnout. When we looked at the two different groups there were some contrasts. Pastors with burnout tended to experience more health problems. And in this situation particularly with the data we had, we couldn’t necessarily say yes, this is a causal thing, but it does seem to be a loop that feeds itself. And then we also saw pastors with flourishing mental health received a lot more support from their congregation. Jessica: And so I asked her what ideas she had for congregations to support their clergy. Aly: Sometimes you’ll have congregants who will take their pastors out to lunch. If there is an activity coming up that’s church wide, you’ll have different congregants offering to help. Whether it’s with decorations or just offer all sorts of ideas. I remember there was one pastor that on his birthday, a congregant took him to a special museum. So you do have people reaching out and sending sweet emails remembering people’s birthday and anniversaries and asking about their families. Kind of just the way you would nurture any relationship really. Naya: To learn more about the APHA Annual Meeting or the Practicum Day, visit our website and click on the episode summary for more detail. Because we’re ramping up on releasing a two-part series on the refugee crisis, we’ll share more about what we learned from our interview with Dr. Dilshad Jaff in the coming weeks. Jessica: You’ll also hear more about what students across UNC are doing to help. Stay tuned for more on this important topic.